The new school year is well underway. Children are back in the classrooms, running around playgrounds and playing sports. However, children, like adults, can be prone to back pain, and there can be several causes. The general finding from various studies is that children involved in competitive sports and those who are sedentary are more prone to getting low back pain while those that participated in moderate activity were protected. The children involved in competitive sports run the risk of getting repetitive strain injuries. Those children who are sedentary are often those who sit and watch a lot of television or play on a computer. The implication of this will be discussed below. 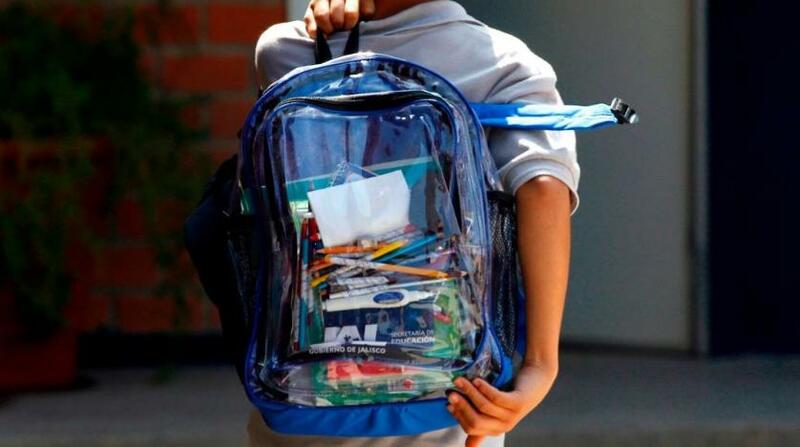 School bags are exceptionally heavy for those attending secondary school. This is due to the number of different subjects covered and therefore the number of textbooks required and the fact the children often have to move between classes. Not all children have access to lockers, which mean that books have to carried with them. Bags carried on one shoulder causes an asymmetry of the body and therefore certain muscles will have to tighten and others lengthen in order to carry the bag. These kind of imbalances can cause long-term problems. 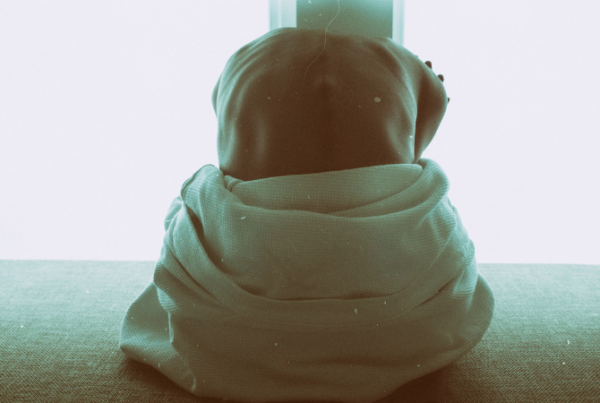 All aspects of life can induce bad posture; lack of exercise, weight of school bags, spending too much time playing computer games or on the computer, incorrect shoes, and growth. Those children who grow faster and become taller than their peers may slouch in order to not tower above their friends and this can ultimately lead to bad posture. Whether at school or home, ill fitting desks can lead to bad posture. School desks and chairs cannot cater for individual heights of children and, as mentioned earlier, the children often have to move between classes. The desks and chairs are uniform and unable to be altered to the child’s individual needs. Guidance on correct desk set up should be implemented at home; not just for the kids but also for everyone in the family who uses the desk. At school this can’t be done, but by advising the child to sit upright and not to slouch and not to cross the legs will help. Any body position requires certain muscles to shorten and others to lengthen. This occurs every time we move. If we were to stay in one position for too long those muscles will eventually stay that particular length. When children play on computer games it quite often requires time. This leads to the above situation with muscles. Children should work a maximum of 30-40 minutes at any one time. This could be playing games, using a computer, or even doing homework before having a break. The child should spend a few minutes walking around and then returning to the game/homework by reviewing their posture and sitting correctly. Those children who play a lot of sport and those who play contact sports such as rugby may be injured either by direct contact or by overuse of certain muscles. If a child is injured it is advisable that they are seen by a chiropractor as problems unresolved can lead to compensations, ie walking differently due to sprained ankle leading to low back pain, a rugby tackle causing neck pain and headaches. Children are conscious of fashion, which can affect their shoe wear. Girls particularly may wear shoes with a high heel. This causes the calf muscles to shorten and pushes the body forward. To prevent falling over the girl would have to lean back and causing an increase in the low back curvature which can not only cause low back pain but also pain between the shoulder blades. Wearing improperly fitting shoes can cause many problems from blisters, pressure sores and ingrowing toenails in the short-term, to feet deformities like hammer toe, and knee and posture problems in the long-term. It can take up to 18 years for feet to fully develop, so teenagers feet need to be looked after just as much as younger children’s. Shoes should be the correct size and offer the right amount of support. When purchasing new shoes, get the child’s feet correctly sized by the shop assistant and ensure that the shoes are the correct length as well as width. Rucksacks should be worn across both shoulders and the straps adjusted so the bag is held close to the body. If a locker is available, encourage your child to use it. Also ensure they only take the books and equipment needed for that day. Check their shoes are correctly fitted, supported, relatively flat, and are not too worn. Encourage your child to enjoy regular exercise, such as swimming and cycling. Use of the computer, playing computer games and homework should be in blocks of no more than 30-40 minutes. Advise them to have a little walk before returning and again that they sit with their shoulders down and back (not slumped) and their legs are uncrossed. See a chiropractor if your child is experiencing pain or discomfort, or even just to get a check up. If you found this article helpful, please share it with other parents!